Louise’s Pantry is a name synonymous with the desert casual lifestyle. Beginning in 1946 as a lunch counter in Palm Springs, Louise’s Pantry was a name on everyone’s list as a must dine place when in the desert. At Louise’s Pantry we only use fresh & seasonal ingredients to make all our beautiful, rustic dishes. Come experience Louise’s Pantry for yourself … we’ve been told it’s an unforgettable experience. Generous portion of bananas and walnuts cooked inside of pancakes. 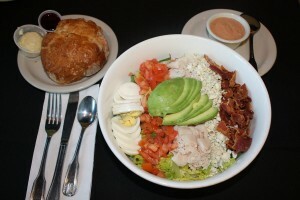 Breast of turkey, bacon, egg, avocado, tomato and blue cheese crumbles atop chopped romaine. Choice of dressing, tossed on request. 1/2 lb. choice NY strip cooked to perfection. 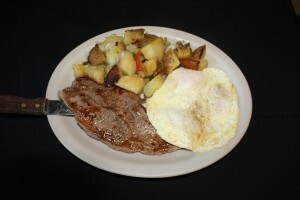 Served with 3 eggs any style, hash browns or country potatoes, toast and jam. 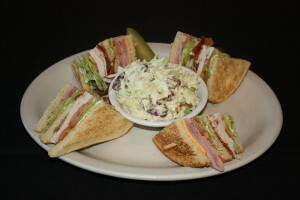 Triple Decker loaded with Black Forrest ham, breast of turkey, American cheese, bacon, lettuce and tomato. Served on toasted white bread. A real old-fashioned styled luncheonette, Louise’s Pantry was a fixture in Palm Springs since opening as a drugstore lunch counter in 1946. 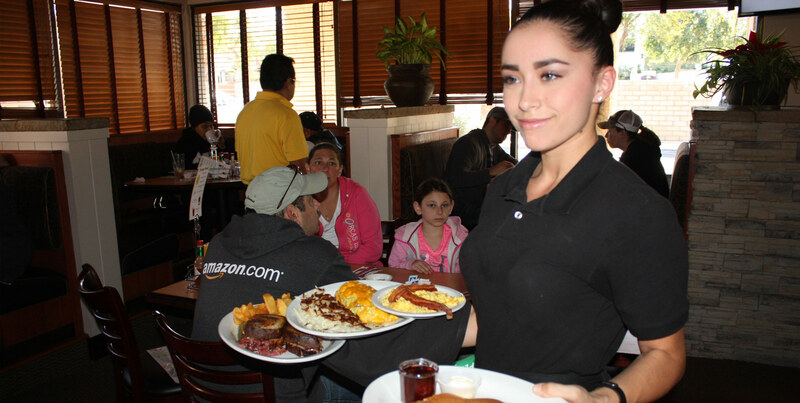 The original location on Palm Canyon Drive fell victim to skyrocketing property values, but the devoted patrons – young and old alike – have flocked to the new locations on Washington Street in La Quinta just south of Highway 111 and in Palm Desert on Highway 111 just east of Monterey, for premium – quality comfort foods such as a complete selection of Succulent Burgers and Fries, a large choice of Pantry Sandwiches including hot Reuben and French Dip Sandwiches, Chicken and Dumplings like Grandma used to make, delicious Salads like the popular Cobb Salad, a huge selection of delicious Hearty Breakfasts including Biscuits and Gravy, and the tastiest fresh-baked Pies around. Of course, you can quench your thirst with some Beer and Wine at our La Quinta location and enjoy a full bar service at our Palm Desert location. 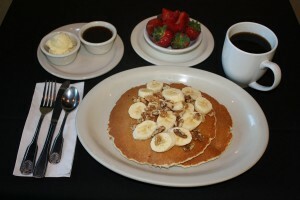 Louise's Pantry is a name synonymous with the desert casual lifestyle. Beginning in 1946 as a lunch counter in Palm Springs, Louise's Pantry was a name on everyone's list as a must dine place when in the desert. 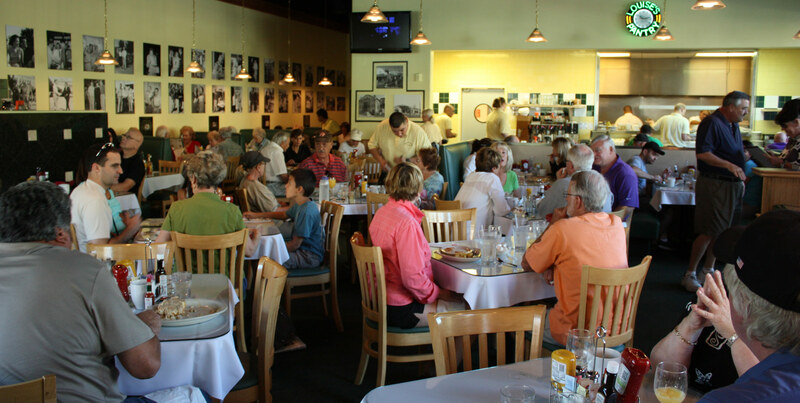 Now located in Palm Desert and La Quinta, Louise's Pantry has maintained a reputation as a great place for home-cooked meals and friendly people.